The play begins as you wager coins on the possible outcome of your game. This game is similar to the offline version with a few differences. To scratch off your card, you will move your computer mouse back and forth over the scratch area, as your numbers are then revealed. Your goal in this game is to get three of the same symbol. You will check the playtable at the right of your screen to match up your winning numbers against the prizes. The line multiplier format is used for this scratch game. 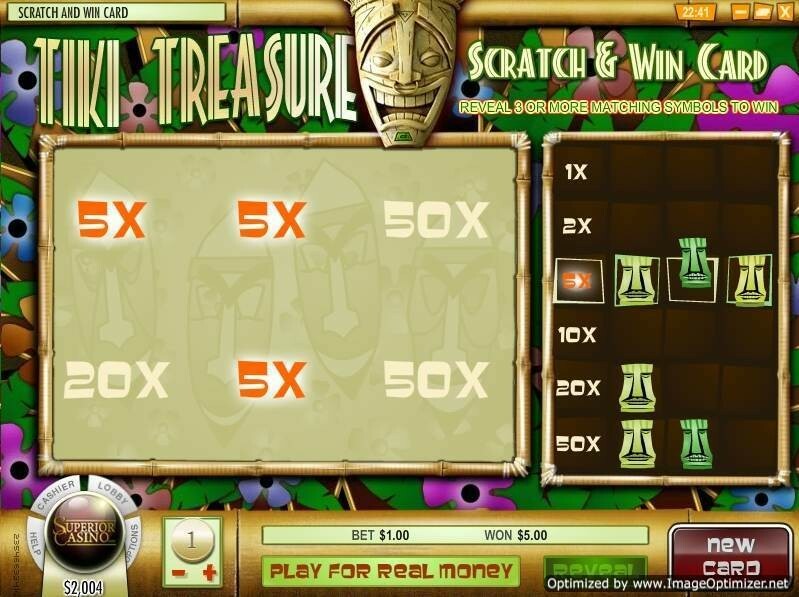 Your winnings will be paid out according to the multiplier used under your scratch surface. For example 10X your number would be a payout of 10X that number. Your odds of winning are greater with this online version than a hand-held scratch card, with a multiplier limit up to 80X.